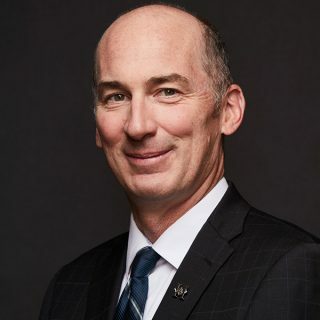 Pierre Killeen brings a lifetime of professional experience in helping organizations secure public acceptance for change to his role as Vice-President of Government Relations and Corporate Communications. A lawyer by training, Pierre has developed and executed successful public affairs strategies for clients in both the public and private sectors and is recognized for his ground-breaking use of digital and social media for public engagement. A graduate of Queen’s University and the University of Ottawa, Pierre has worked for some of Canada’s leading public relations firms, including Hill+Knowlton Strategies. As former lead and co-creator for Nanos’ public consultation practice, he pioneered the use of online consultations with municipalities across Canada as well as with Government of Canada departments and agencies. He has also served as an expert in Public Participation on World Bank missions to the Kingdom of Morocco and the Republic of Tunisia. As Vice-President for Government Relations and Corporate Communications, Pierre helps decision-makers and the public understand the social, economic and political implications of cannabis. He also advances our position with policy-makers and regulators at the federal and provincial levels.